As a part of my 2018 goals, I've been trying to find healthy snacks to eat at times of hunger. Rather than keeping chips and cookies in the house, my go to snacks have been whole, unprocessed foods. Marathon training requires me to fuel my body with nutrients and vitamins, and snacks from the center aisle of the grocery store just don't cut it. 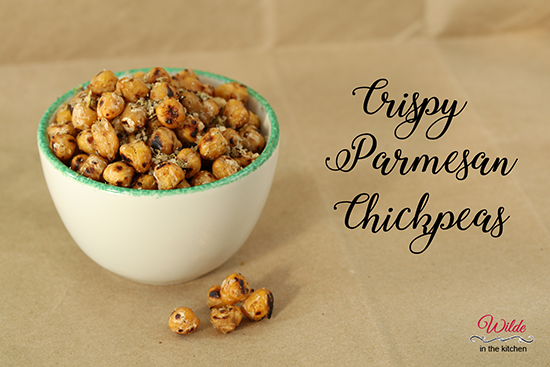 Recently I tried these crispy chickpeas and found them even more satisfying than any bag of potato chips! 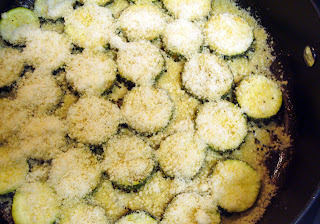 They are prepared quickly on the stove top and topped with parmesan, oregano and lemon rind. 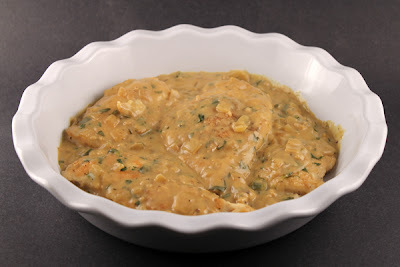 The combination of salt and citrus was surprisingly good and complemented the natural flavors of the chickpeas perfectly. The next time you are feeling those late night hunger pains, don't reach for a crinkly bag of chips or a tube of cookies. 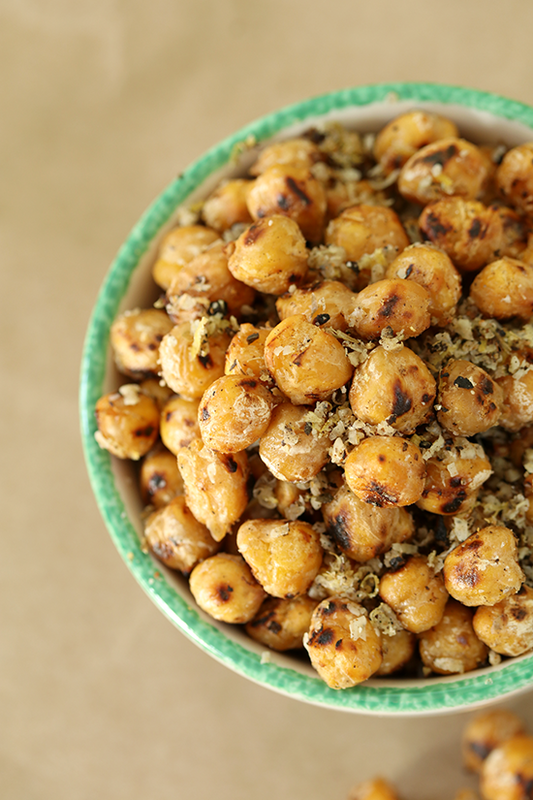 Keep a can of chickpeas in your pantry and you'll always have a healthy and tasty treat at the ready! I know that it is supposed to be spring, but the weather in the Northeast isn't cooperating. The weatherman tells us lies that it will be in the 60's by the weekend. When the weekend comes, the temperatures barely rise above 40. I'm trying to bring a little bit of that warm weather feeling into my life by wearing bright colors and florals, taking bundled-up evening walks and sourcing spring vegetables for dinner. 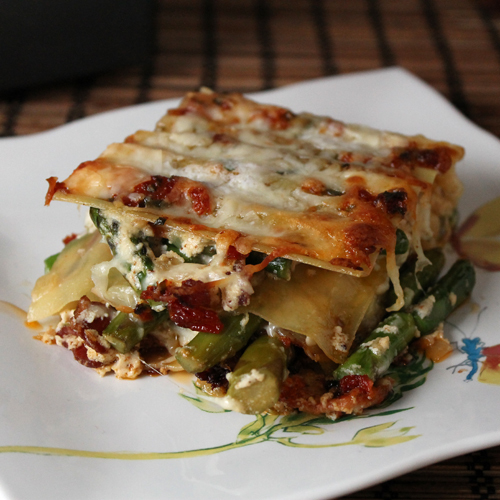 If you are still waiting for the warm spring days to visit your part of the world, try making something light and fresh for dinner. 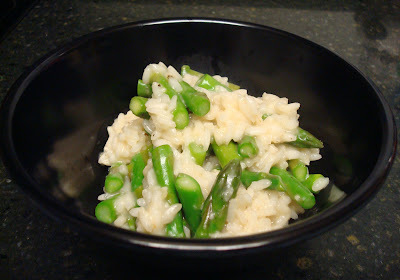 You can start with this spring risotto and hope that the temperatures rise soon! I may have mentioned a few weeks ago that the boyfriend got me a deep fryer for Christmas. This was both a great gift for me and a self-serving gift for himself. I think he really just wanted some french fries! I have always been nervous about deep frying. Heating a giant vat of oil to over 300 degrees just seemed like a dangerous proposition. My new deep fryer takes away all the fear and I've been having a great time frying everything! Chicken tenders, chicken wings, donuts and of course, french fries. I have finally been able to put my French Fries cookbook to good use. 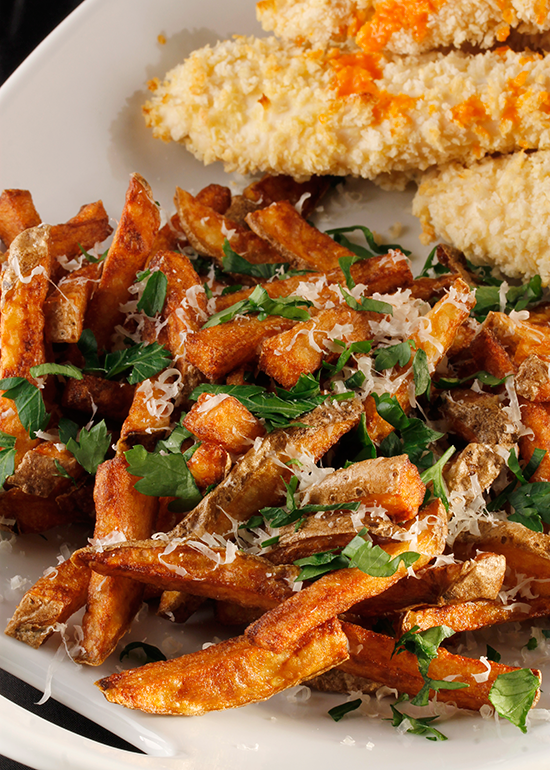 I've tried a few methods to get the perfect golden crunch on my fries, the frying method from this cookbook delivers the most delicious and consistent results. I'm thinking of making my way through this cookbook, cover to cover. In other news, I'm putting my gym membership to good use! Welcome to the first installment of my 2015 - Junk @ Home Challenge! I decided to start off this something simple and easy to make. Sadly, it turned out to be a little more tricky than I originally expected. I had to experiment with a few different recipes, roll out the dough in a variety of thicknesses and determine the optimal time to bake the crackers. In the end, I was successful in making Wheat Thin-like crackers but they weren't the shining star of this particular experiment. 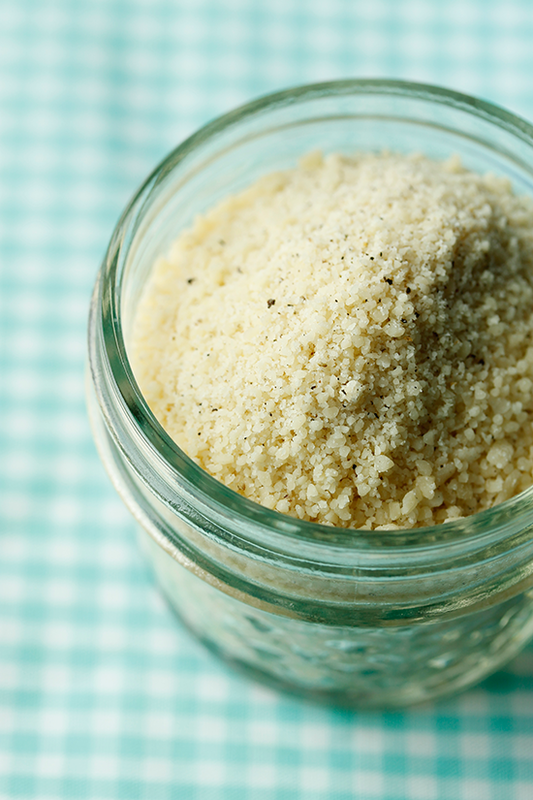 If anything, I should re-name this post - Homemade parmesan cheese powder. 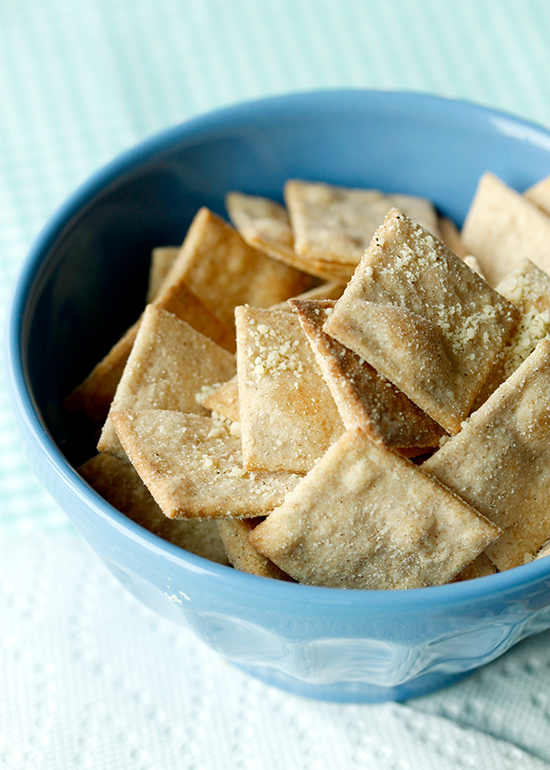 Years ago, Wheat Thins came in a parmesan flavor. The boyfriend loved this particular flavor and was so sad when it disappeared from the shelves. 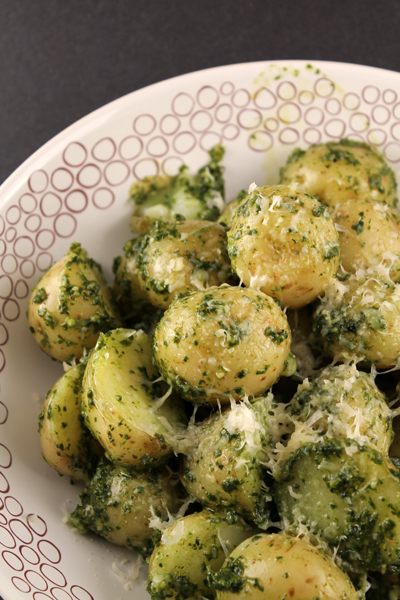 I thought that I would try to recreate them and set about trying to figure out how to make a chemical-free parmesan powder. After a little internet searching, I found that you can create your own cheese powder by dehydrating a low-moisture cheese. Since I don't own a dehydrator and don't have the space in my kitchen to put sone, I decided to go with the low-fuss, oven-drying method. 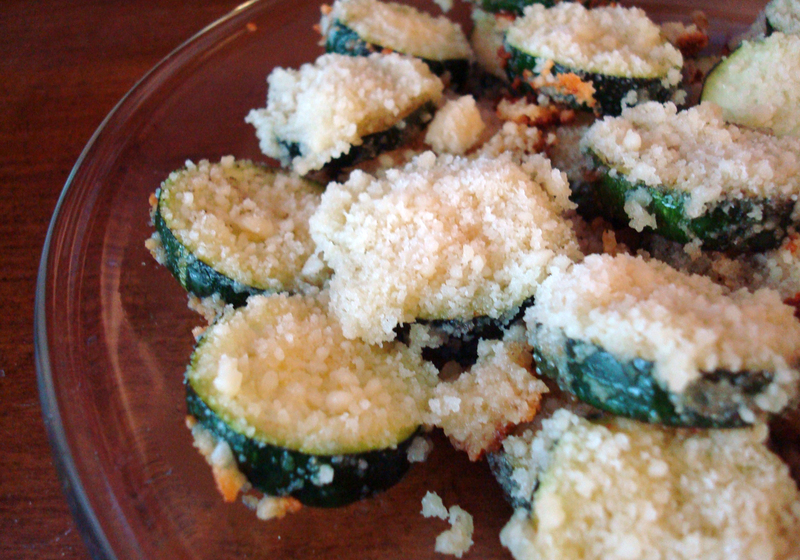 I left Shredded parmesan in the oven, with the light on, for twenty hours. At the end of that period, I was left with a crumbly, low-oil parmesan cheese. A quick whir in the food processor with some freshly cracked black pepper and I had a flavorful parmesan cheese powder. 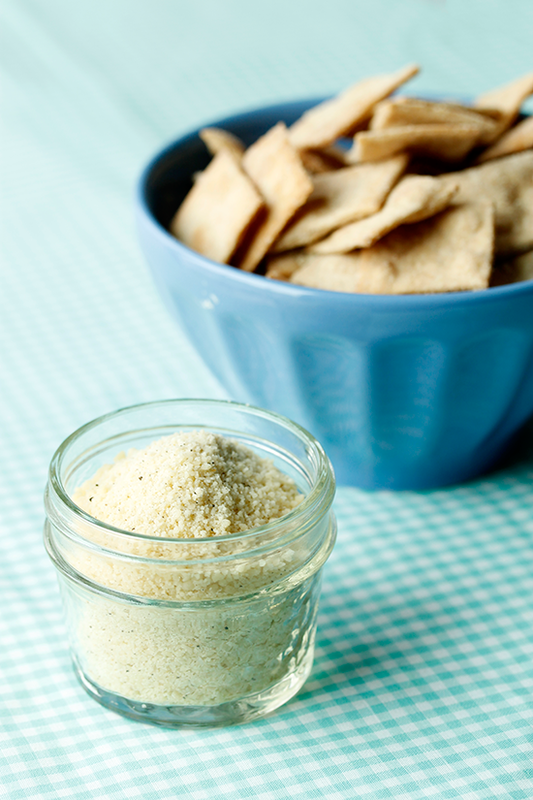 The crackers were tasty, but it was this cheese powder that will be topping my pastas for the next few weeks! Welcome to Fall everyone! I'd love to say that this recipe is coming from my new kitchen. Sadly, the only thing I have made in my new kitchen is oatmeal. And that was from the slow cooker! Our new house is a bit of a mess right now and dinner is the last thing on my mind at the end of the day. It's either been frozen food (prepared fresh in my oven!) or dinner out. Looking at this recipe, I could totally throw this together at the end of a long day. 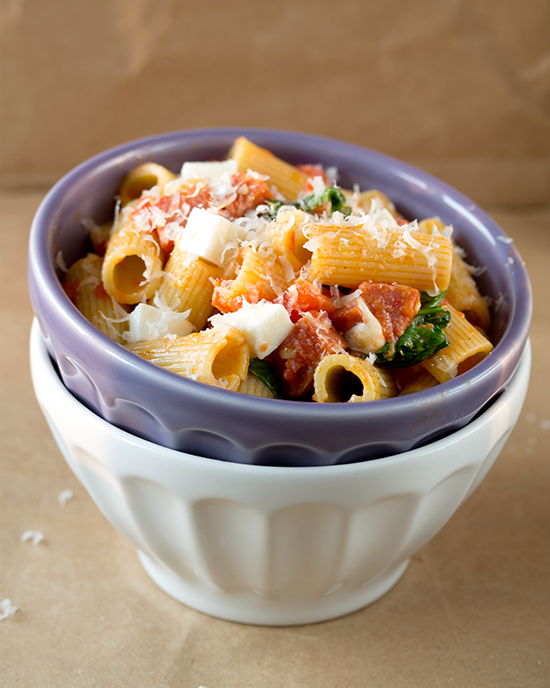 It took no time at all to boil pasta and heat up the pepperoni and arugula. It would require a trip to the grocery store though. I don't know if I'm up for that right now! I'll be sharing a more completed tour of our new house in a few weeks. Right now the house can be found under piles and piles of stuff. Not boxes, because we didn't actually put our stuff in boxes to move it. We kind of just tossed stuff in those reusable grocery bags from Wegmans and piled it up in the moving truck. Did I mention that we bought a townhouse that is less than a quarter mile from our old apartment? Such an easy move! Hopefully soon I will be back in the kitchen. It is completely serviceable right now (I cleaned up the mess from the previous post), but there is so much more to deal with in the house! Plus, we are probably going to re-tile the floor, add a backsplash and paint the walls. A mini remodel is in the works for my mini kitchen! Until then, maybe I'll make this pasta again. Quick and easy is the name of the game right now! I have two full containers of corn meal in my cupboard. I was making pizza and bought some. Then I was making another pizza and bought another one. What's a girl to do with all that corn meal? This stuff is so freaking good. It's a side that takes a bit of preparation, but it's totally worth it. 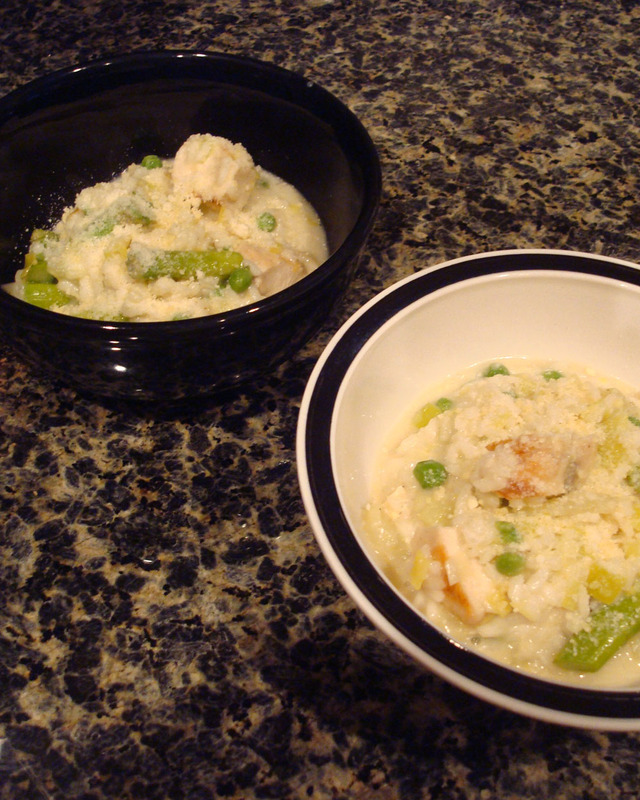 I made a similar recipe many many years ago, when I was still in grad school. 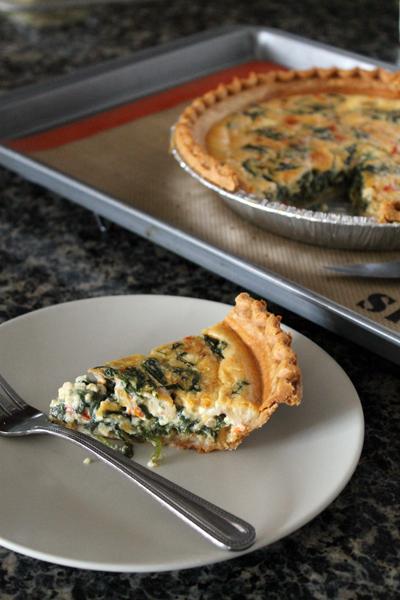 When I happened on this recipe in the Williams-Sonoma - New York City cookbook, I knew that I had to make them again. 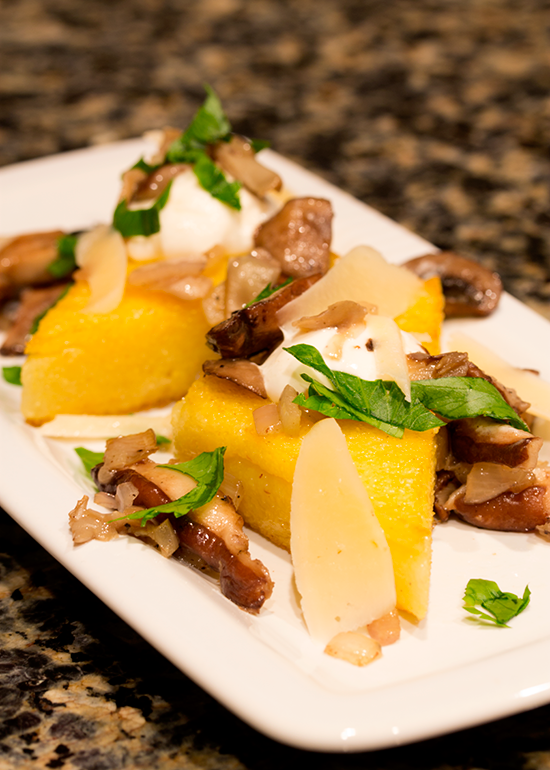 Especially since this recipe was classed up with mushrooms and mascarpone cheese. 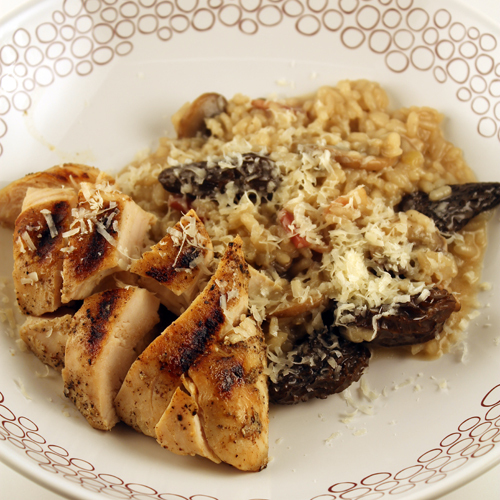 You should definitely make this for dinner. It's ah-mazing! For those of you just tuning in, as a thirty-year old woman, I decided it was about time I got braces. Well, my dentist "strongly suggested" me having a consultation with an orthodontist. I was mad at my new dentist (seriously, it was the first time I had an appointment there! ), but I was also mad at my old dentist (the one I had since I first got teeth. The guy who told me I didn't need braces.). Eventually I decided that it was a great time in my life to get my bite adjusted. In February of this year, I had these fancy ceramic braces affixed to my teeth. Until the metal archwire was attached, the brackets themselves were almost invisible. Even with the wire in place, it's the only thing you can see when I smile. It took some people at my office months to realize I had the braces put on. My mom and brother had to be reminded that I had them, as they didn't notice them either. My close coworkers made fun of me for about a week, but I just made fun of them for a wide variety of reasons and we all got used to my braces. Recently, my orthodontist got new bands (the little rubber bands that attach the wire to the bracket) that are completely clear. I'm in love with them. I've had some questions from people along the lines of "I want to get braces, but I'm afraid they will hurt!" I'm not going to lie, they were uncomfortable the first two weeks. I was aware of every last tooth in my mouth. After the initial adjustment period (and loss of a few pounds), it really hasn't been that bad. After my monthly adjustment, one tooth or another might hurt for a few days, but it quickly goes away. Also, as your teeth start to line up properly it becomes much easier to speak normally. I've finally learned to say M words properly, I'm sure I'll have to get used to speaking again once the braces are removed. 1. I think my old dentist was in cahoots with my dad. He totally saved him a bundle of cash by not pushing braces on either my brother or I. 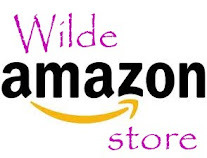 And Wilde brother would do well to get himself some grills. Dudes got crazy teeth! 2. I would totally get them again. I'm really looking forward to having all my pearly whites lined up and biting down in the proper fashion! I can see the progress they've made already and I can't wait to see the final result! 3. If you are thinking about getting braces, don't worry about the pain, your ability to eat, what other people will think. The pain isn't crippling, you'll just decide which foods are too much work to eat and you're doing this for yourself, ignore those haters! 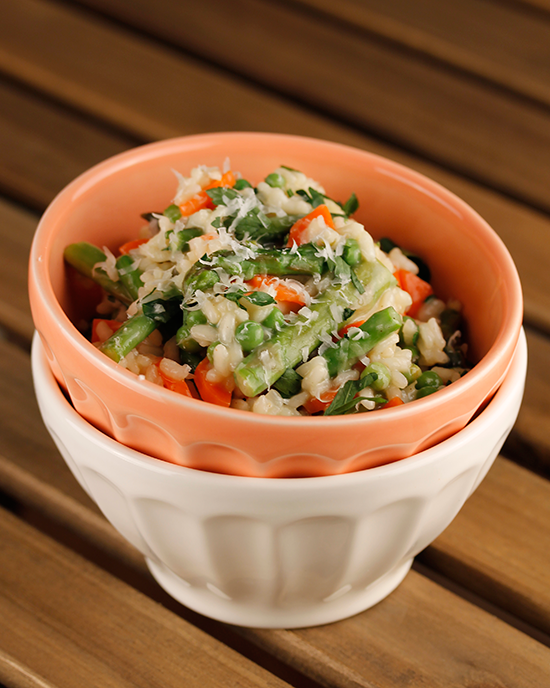 Get braces and make this dinner - very braces friendly! Don't worry, boyfriend and I are all good. My new love? It's Rock Climbing! This new love goes back a few months now. It all started in Alaska. Boyfriend and I were docked in Skagway and it was his birthday. To celebrate his big day, I got us a rock climbing/zip lining/rappelling excursion. Nothing like making someone leap off of a high platform for their birthday. Climbing those cliffs was fun and exhilarating. Both boyfriend and I wanted to stay there all day and climb the wall. Shortly after Alaska we decided to go rock climbing in New Jersey. We signed up for a belay class to become a certified belayer for each other. Pressure was on to not drop each other on the ground. We learned how to tie knots, properly clip in and catch a climber in a fall. Then, we got to climb. We've been back four times since our first class, passed our belay tests and started strengthening our climbing muscles. 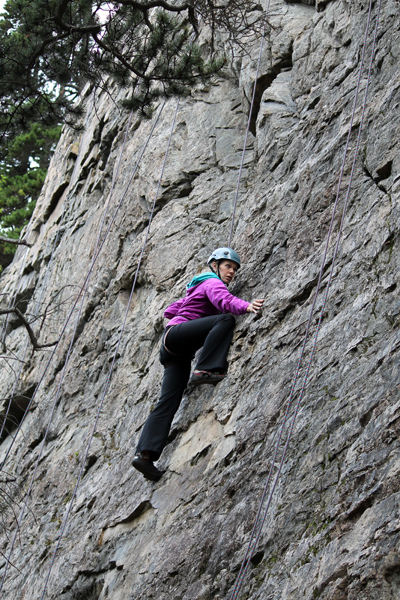 Did you know you really use those little muscles in your wrists and forearms while climbing? Also, don't do your nails just before deciding to go climbing. Now we just have to buy our own shoes and harnesses and we'll look totally professional while climbing at the rock gym. We'll look professional while on the ground at least, once we start climbing all bets are off. We're still learning the actual art of rock climbing. It's not a graceful effort right now! At least it's a great workout! And I haven't dropped boyfriend once yet. 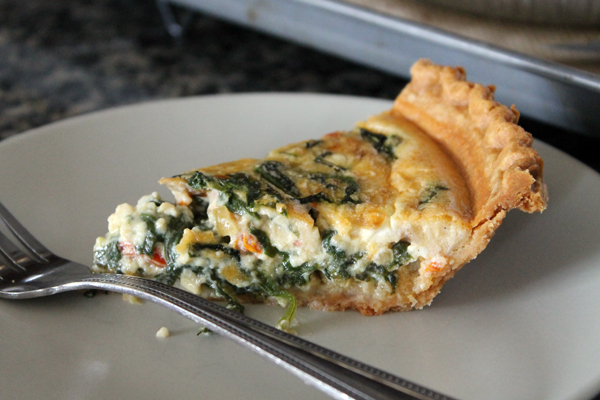 I don't really know why ricotta cheese wound up on my Why bother challenge list. 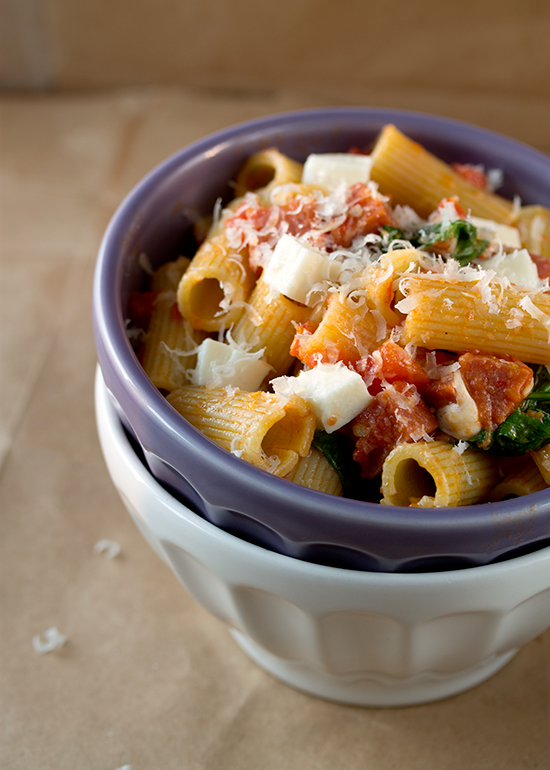 In all of my first twenty-one years of life, I never even ate ricotta cheese! 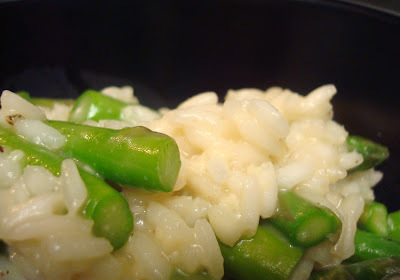 Once I ventured out on my own, living in a one bedroom apartment as a newly minted graduate student, I occasionally came across a recipe requiring ricotta. Generally I passed it over for another recipe with "less exotic" sounding ingredients. Yes, ricotta was exotic at one point in time. 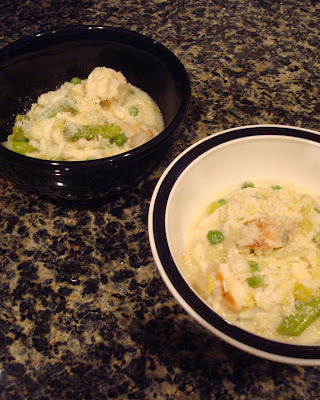 A few years later, the South Beach diet was the hot way to eat and I gave it a try, along with some friends. We mostly wanted to re-vamp our eating styles, rather than lose weight. If you know anything about the program, dessert during the first phase is always sweetened ricotta cheese. I ate it, it wasn't terrible. 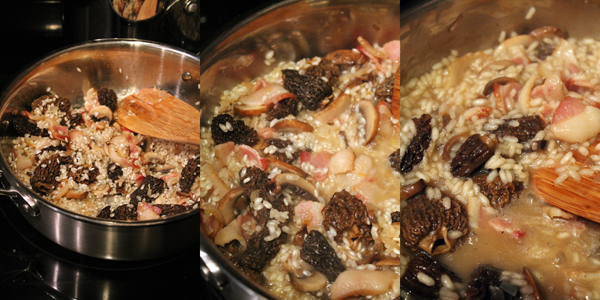 As my culinary skills improved, I found myself trying out more and more items from the grocery store. Eventually things like curry paste, bakers yeast and fresh ginger made their way into the fridge, ricotta finally snuck into my grocery cart as well. 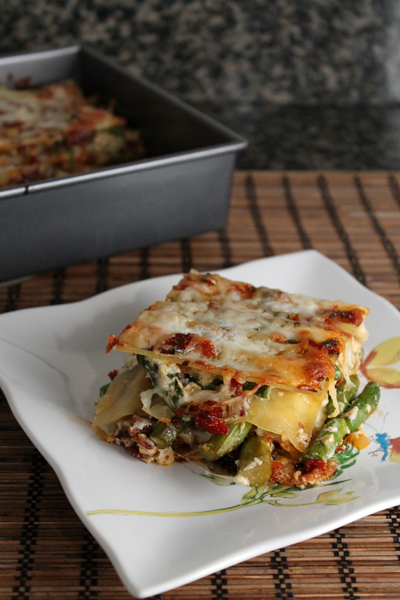 You still won't find me sitting down and eating ricotta cheese straight from the container, but I really enjoy adding it to pastas, making rich lasagnas and even lightening up a cheesecake. I don't use it that often and ricotta isn't really a staple in my fridge, which is why I was surprised to see it made it onto the list this year. Must have been someone out there that requested it! If you came here this week for mozzarella, I'm sorry to disappoint. I neglected to look ahead on my list and failed to buy rennet in time. To keep up the cheese theme, I swapped the dates for mozzarella and ricotta! Luckily, the ingredients to make ricotta cheese are incredibly simple. Get this - milk and lemons. That's it! How much time will you devote to making your ricotta? A little over an hour of your day. And that's time you can spend making cheese and doing other things, like laundry or making breakfast. It was so much simpler than I could have hoped and the results were amazing. 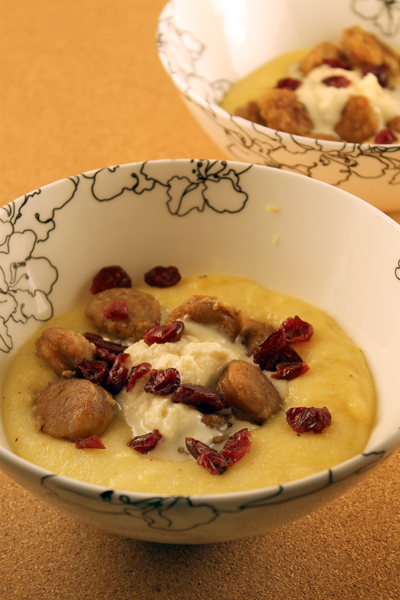 Shortly after beginning to heat the milk and lemon juice, the ricotta started to come out of the milk. Little curds were floating on the surface within ten minutes of heating! Once I strained and collected my curds, I was so happy with the fluffy, white outcome. I decided not to add any salt to the ricotta, since I had planned to make pasta and cheesecake with it, and stored it away in the fridge. Today I'll share with you the simple method for making ricotta cheese and the deliciously simple pasta I made with it later in the week. Next week you'll be treated to the cheesecake recipe! Was making ricotta at home worth it? I enjoyed making the cheese because it was like a fun science experiment. If you want to get kids involved in cooking, this would be a great recipe to have them help you with. Would I make ricotta all the time? Probably not. 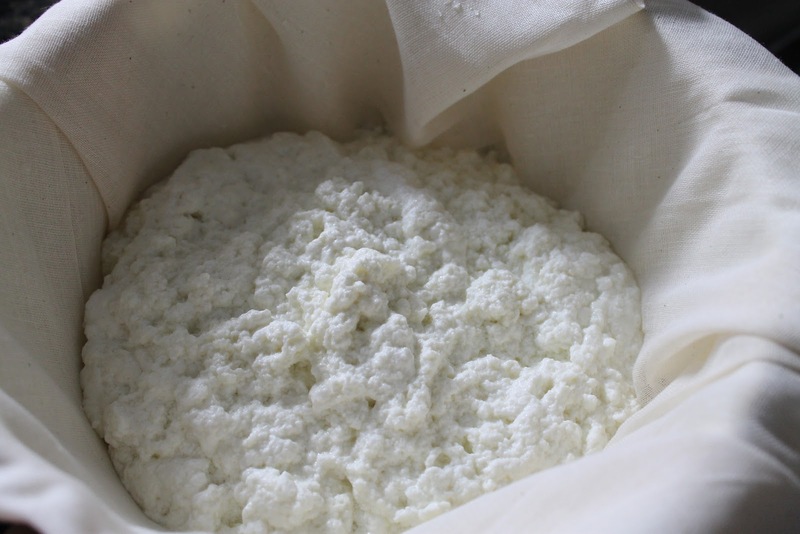 You won't save any money making your own ricotta, you'll just have a lot of fun and be able to tell your friends "Yeah, I make my own cheese." Simple, straightforward and so easy to make. This is the gateway into making more complicated cheeses. 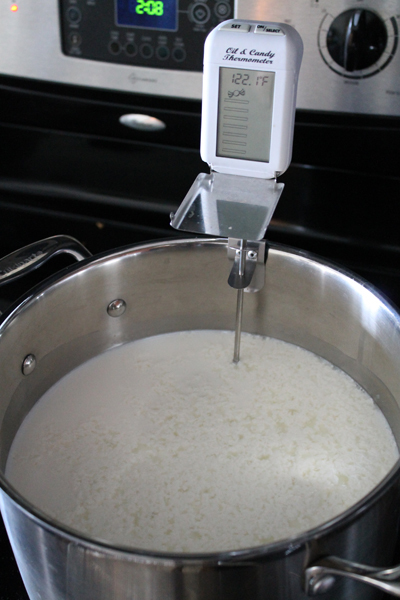 Starting with whole milk, the lemon juice helps to separate the curds from the whey. Don't throw out the whey once you're done making the cheese. Save it and put it in smoothies, use it in place of milk in bread recipes or just drink it (I wasn't so brave!). Line a colander/strainer with a double-layer of cheesecloth. Place over a large bowl to collect any whey that will drain through. In a large pot, combine milk and lemon juice. Stir for 5 seconds, but don't touch the bottom of the pot (stir the milk like this any time you stir the pot). Clip on thermometer and heat over low heat to 170 F, stirring occasionally. This should take a while, between 40-55 minutes. Once you hit 170 F, raise the heat to medium-high and don't stir anymore. Once you hit 205 F, maintain this temperature for 3-5 minutes. Remove from the heat and let sit for 10 minutes. 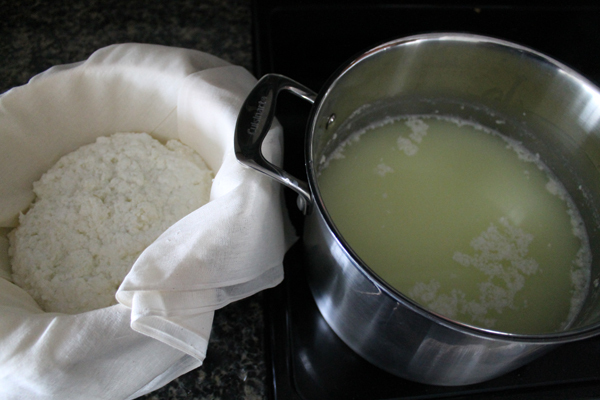 Using a slotted spoon, scoop out curds and transfer to the cheesecloth-lined colander. 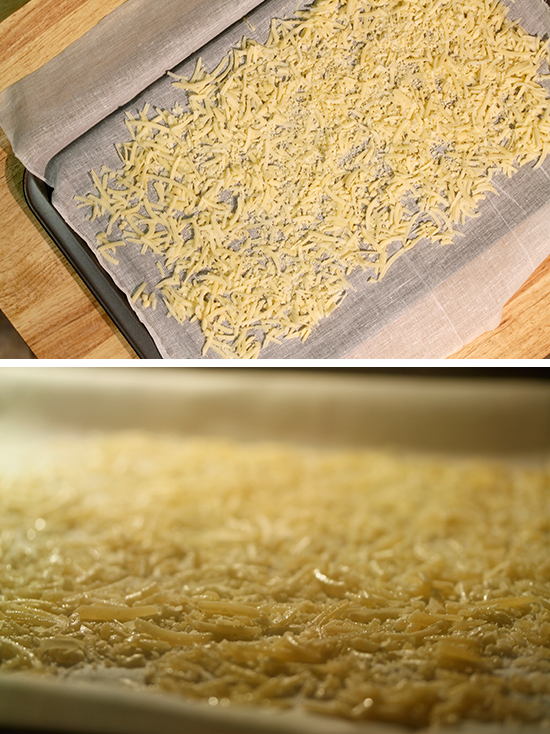 Let the cheese drain for 10 minutes. 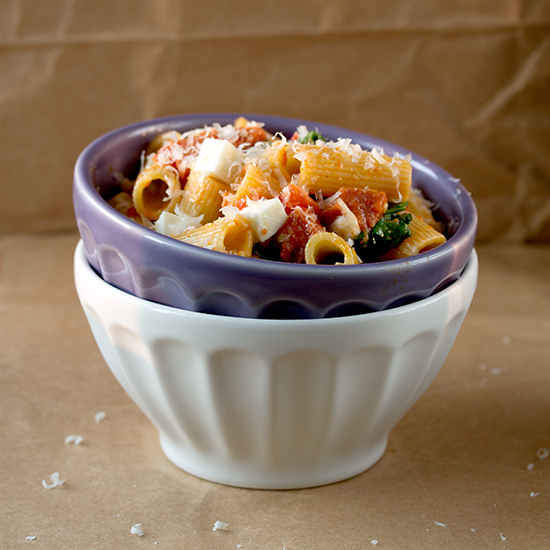 You've got ricotta! 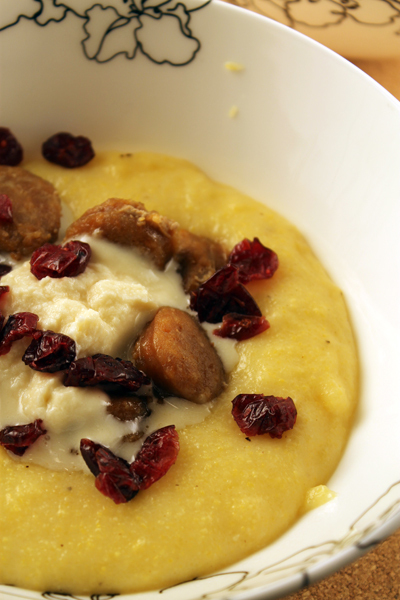 With your homemade ricotta, this meal comes together in just 15 minutes! 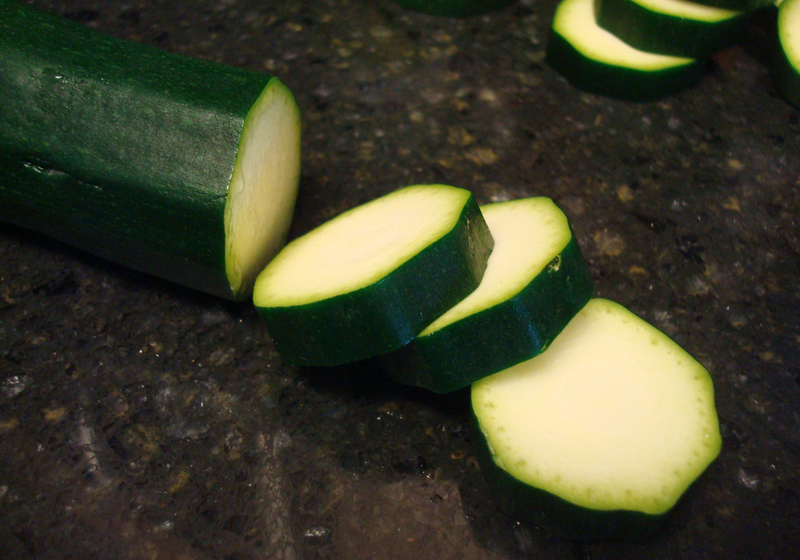 Chop your zucchini while the pasta is boiling and you've got a great weeknight meal. Bring a large pot of salted water to a rolling boil. Cook pasta according to package directions, add corn in the last minute of boiling. Reserve 1 cup of pasta water, drain pasta. 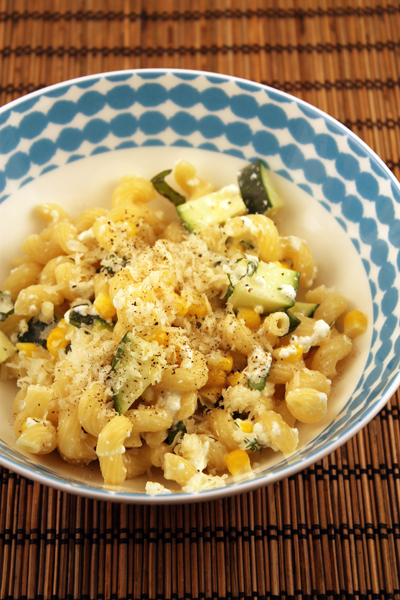 In a large bowl, combine 1/2 cup pasta water, ricotta, zucchini, basil and dill. Add pasta and corn and stir to coat. Taste and flavor with salt and pepper. I wanted to take a minute to thank you all for helping out with my bake sale benefiting Relay for Life. With your help, we were able to raise over $350 for the cause! Thank you so much! I'm very excited to take part in the Relay this coming June. Now, to celebrate our successful fundraiser, I've made you a fancy dinner. ﻿According to my mother, I have spent 26 of my 30 years on this earth going to school. I started pre-school at the sweet age of 3. Blonde with ringlet pigtails, I headed off into the world to learn my ABCs and 123s. Apparently I wanted to go to school the year before because my brother was going and I was jealous. I always liked school. I liked learning, taking tests, doing homework and bringing home good grades. When I got a good report card we went to the toy store and I got more Barbies. High marks = more Barbies. That's some good math for a little girl. As I continued through high school, the Barbie brides fell away and I simply realized my nerd potential and kept up my good grades. I don't think it would surprise you if I said I took advanced placement chemistry and placed in the top of the New York State Chemistry challenge. I spent a year in college, trying to pretend that I wasn't a big old nerd. I was a photography major! I spent hours learning about shutter and aperture, shooting roll after roll of film and wandering blindly through the color darkroom. I wasn't a nerd, I was an artist! Unfortunately, I was doing better in my calculus classes than I was in my art classes (I am not a painter). Come sophomore year, I switched majors and the rest is history (or a story for another time!). Okay, welcome back! I'm still off in the Caribbean, sailing around on a floating city. This is actually my fourth cruise, third one with boyfriend. The remaining cruise? I took that one with WildeMom! A few years back, WildeMom and I descended on Florida from our northern locations of Buffalo and Madison. We sailed out of the port of Fort Lauderdale to celebrate WildeMoms 50th birthday! The plan was just two crazy girls, living it up on the high seas! And that's just what happened. We walked around Old San Juan and dodged random cloudbursts in the fort. Trolling through the city we enjoyed creamy gelato and warm weather. We faced the ocean on St Maarten and someone was smarter than I and stayed in the shallow end. Truth be told, I'm pretty sure the ocean was trying to drown me. We kayaked through a mangrove forest on St Thomas and cheered on a hermit crab during a race. We even managed to hit the ships gym every morning and I made friends with the fitness coordinator onboard. It was a fantastic trip for both my mom and I. We never had, and haven't since, had so much time to spend together. A whole week of mother-daughter bonding time. Lots of time to relax together. Travelling with boyfriend is nothing like travelling with WildeMom (as you could have guessed from Tuesdays post! ), but tomorrow I can have a direct comparison. Tomorrow our ship docks in St Thomas after a full day at sea. How will my day on St Thomas compare with the day spent with WildeMom? I'll let you know next week, along with the winner of the candy giveaway! I planned the posting date for this Why Bother? challenge very carefully. With the unofficial start of summer a mere six weeks away, I think this is a good time to start eating lots and lots of healthy salads. I know that there is a group of people out there who just detest eating salads. Sitting down to a plate of lettuce just doesn't seem right to them. And who could blame anyone for thinking that way? 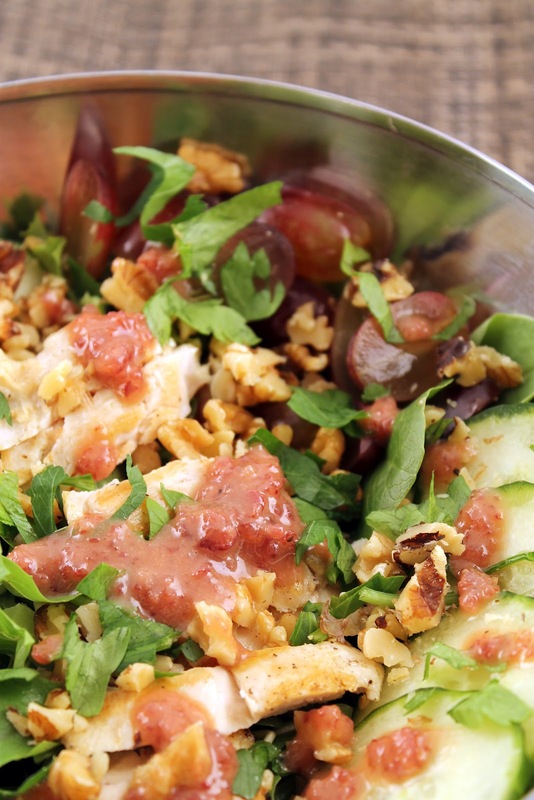 Salads can be boring, unsatisfying and just plain forgettable. There is another train of thought, the one that I have adopted toward the salad. 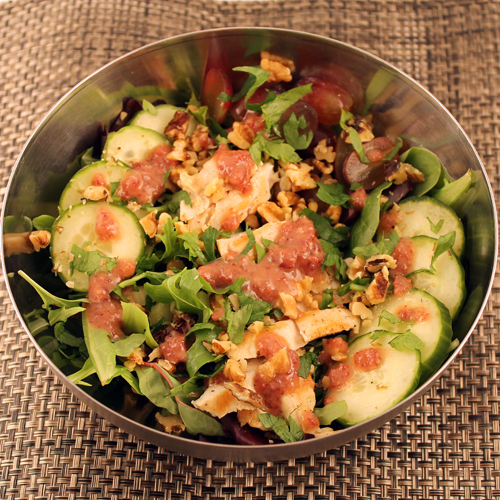 Salads can be bright, filling and the main course of any meal, with the right ingredients. And of course, with the right dressing. 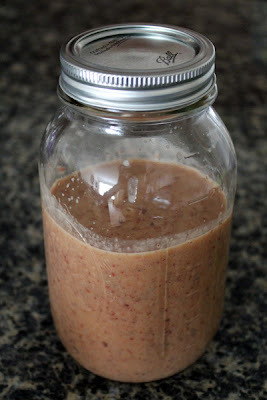 I have had more awful store-bought salad dressings than I care to mention. 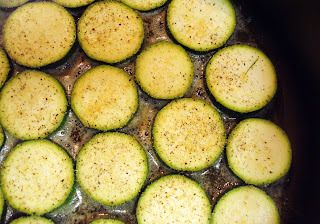 The flavors tend to be muted, the salt to everything else in the dressing ratio is way off and the ingredient combinations sometimes wacky. 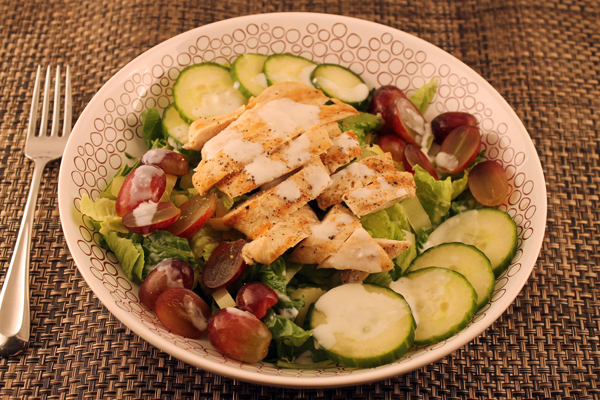 Sure, there are some pretty delicious dressings out there. I'm not suggesting you steer clear of the salad dressing aisle completely. There are just so many reasons to make your own dressings. 1. You know what all of the ingredients are. As a chemist, I look at the back of a bottle of salad dressing and wonder why they need all of those chemicals. The main reason? To make the stuff shelf stable. Look in your fridge, those bottles have expiration dates. Granted, they are usually pretty far out from the purchase date. Please go and throw away all of your old bottles of dressing, you'll have so much more space for the new dressing that you're going to prepare. 2. You can control the salt. For the same reason that there are so many chemicals in your store-bought salad dressing, there tends to be a lot of salt. Americans consume far more salt than is necessary for daily life and it affects our health in a negative way. By making your own dressing, you can add just a pinch of salt (and that's only if it needs it!). 3. Think Fresh. 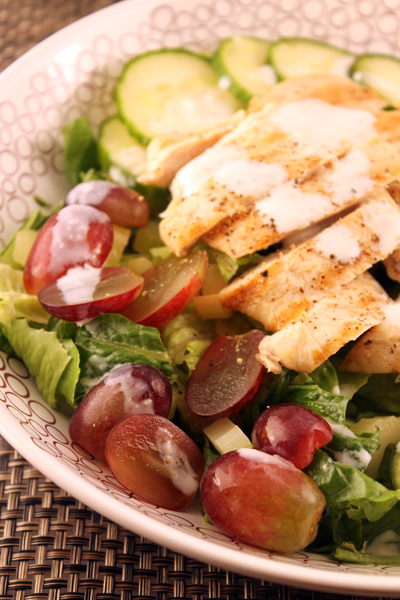 Those salad dressings sitting on the shelf at your local grocery store can't call any of their ingredients "fresh". Nothing is better than putting together your own dressing and finishing it off with some freshly chopped herbs (straight from your garden if you're lucky!). With the flavor that those herbs bring, you'll be leaving the salt shaker on the table. 4. You control the fat. Along the lines of eating healthy in preparation for bathing suit season, everyone is watching their fat intake. Store-bought dressings contain primarily soybean oil or canola oil. There are some true winners out there containing extra virgin olive oil as their main fat source, but you have to be sure to read the labels. Why settle for flavor-less canola oil when there are so many other delicious options! From avocado to walnut, there are more options for oils than ever before. So head out to the grocery store and skip the condiment aisle. Go to the vinegars and oils section and pick up a few options. I like to have white wine, rice wine and balsamic vinegar in my pantry at all times. Specialty vinegars make an occasional appearance and are fun when changing things up, try champagne or pomegranate. Stock up with a large bottle of extra virgin olive oil, try to catch it when it's on sale! 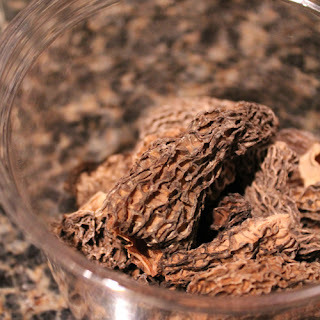 You'll find other amazing oils, such as walnut, sesame and avocado, often hiding in the natural foods section. 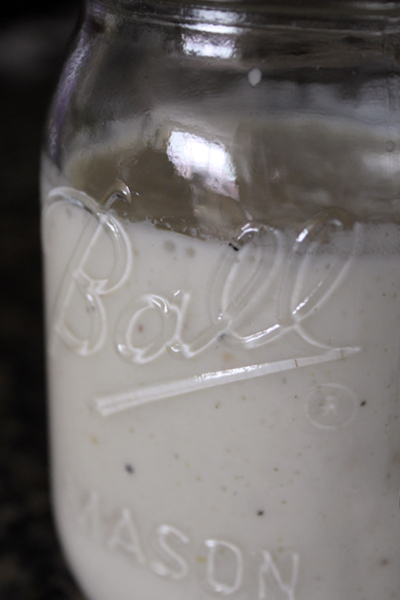 Specialty oils are a little more expensive, but give your homemade dressings amazing flavor. It's time for spring, which means it's time to go outside. With the air turning warmer and the days getting longer, I find myself wanting to be out of the house more and more. 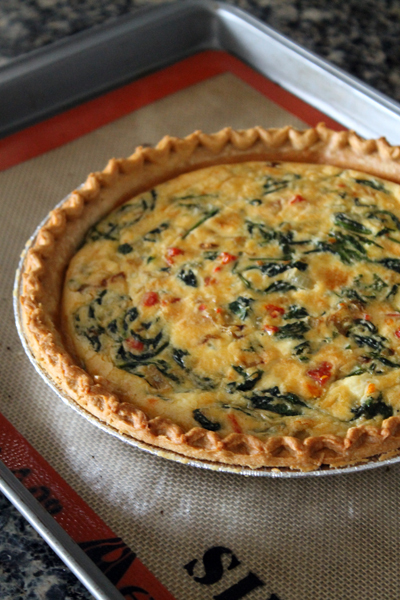 It's time to throw open the windows, air the winter dankness out of the house and cook up some really fresh foods. This is also the time of year that I get a little sad, sad that I live in an apartment. I find myself wishing that I had a backyard and a lawn and a garden. I imagine myself getting to work in my own little garden. Turning the soil, fertilizing the dirt, planting the seeds. I'd love nothing more than to have fresh herbs pop up from beneath the soil, knowing that I was the one that put them there. This all sounds like a nice idea, doens't it? But if you're my mom, you know better. I do not dig in the dirt. It's a problem, because I love it when spring bulbs begin to poke their shoots through the fresh spring dirt. I want the harvest fresh produce from my backyard. I would love nothing more than to clip fresh herbs from just outside my window. Maybe I'll find my green thumb when I have a house of my own? For now, I have plans of a potted herb garden in my mind. A little windowsill farm, providing me with bright green parsley, pungent basil and soft sage. I know this means that I'll have to get my hands a little dirty, but I think it will be worth it. Hey Ma! Look at me! I'm going to plant a garden! Just in time for spring! Growing up in Western New York, I got used to driving everywhere for everything. My parents home is in the middle of no where (i.e. two miles from the grocery store and five miles from the mall). I would have to ask for a ride to go anywhere, even school was a really long walk. I took the walk only a few times, on the last day of school. I love to walk, bike and occasionally rollerblade places. (I was a much better rollerblader in my high school days). Hometown, western New York is not a walkable place. When I moved to New Haven last year, I was so excited that I could walk to work. My apartment was right downtown and just under a mile from my lab, I could make the walk in just under twenty minutes. It was rare that I would drive to work, I even walked in when there was a quarter-inch of ice on the ground. I soon realized that it had been a few weeks since I had driven my car. My beautiful, gold, Toyota Matrix. It was the first car that I bought all on my own. Granted I had just gotten it two years earlier, but it was a big deal (and an awesome car). I was sad that I had been neglecting my pretty little Goldie, but you save so much money on gas when you don't drive your car! When it came time to transfer my insurance over to Connecticut I decided it was time to give Goldie away/return her to the dealership. On March 18th I dropped Goldie off with a nice man at Toyota, he said he would wash her (something I only ever did once) and find her a new family. I'm now a commuter, or professional train rider, as I like to call myself. I miss my little Goldie car, but now I can walk everywhere that I want to go. And I'm saving major dollars a month, insurance in the Northeast is expensive! I can’t believe that I’ve been living in Connecticut for almost a year now. This past year has flow by in the blink of an eye and I’ve really enjoyed being back East. Sure, there are things I miss about being in Colorado. All my crazy gym friends and teaching classes every week. My expansive mountain view apartment and its separate rooms. The crazy Colorado weather and its wide open skies. I have come to learn that Connecticut has lots of great things too. I love being able to walk everywhere that I need to go, I haven’t driven in months. The changing seasons here in the East are all so pretty, my parents and I enjoyed going ‘leaf peeping’ this fall. I’ve met some pretty amazing people here too. Those people I’m talking about are my Monday night girls. My Monday nights used to be full of work, dinner then sleep. Now they are filled with conversations, laughs, good food and chick TV. Being in the chemistry world it’s rare that you find a group of girls and I’ve found a great group. I’ve made it home to Buffalo and I have to say, it’s cold here! When I left Connecticut it was a balmy 35 degrees and sunny. When I landed in Buffalo it was a normal day, overcast, cold and snowy. Brr, dislike. Luckily in returning to Buffalo I was coming home. Coming home to my family and friends from my childhood. It’s been over seven years since I’ve lived in Buffalo and there are still things that I miss. Buffalo might not be known as the foodie capitol of the US, but there are things that you can only get here. Local restaurants like Andersons and Teds call to me with their hot dogs and milk shakes. Summertime hang outs like Mississippi Mudds and Old Man Rivers make me want to hop on a bike and ride down the river. Nina’s custard taunts me with their ever changing array of soft serve. Finally Wegmans, the grocery store of all grocery stores. I know that I can go to Wegmans and get everything that I need, from breakfast to dinner. It you are a resident of the Northeast then you are privy to the secrets of this grocery chain. If you are really lucky, then you get to watch Alec Baldwin perform terribly in Wegmans commercials. Check them out on YouTube, they are hilarious. Alec knows all about Wegmans. I know that I can get everything I need to cook boyfriend dinner, all in one place (which is helpful, since he has salt and pepper at his house). (Oh yeah, and some Gatorade).